Let a movie be in 3-D or an ordinary 70mm projection. We have always loved it for the story, sound effects, visual effects, and many other factors. But latest technologies have improved the way in which graphics and other effects have been introduced in each frame. Out of them IMAX is the most popular. The Fox introduced the first 70mm format, the Fox grandeur in 1929. Later the Cinema scope and vista vision widened the image from 35mm. Then came IMAX with its advanced methods of film projection ever to be seen by anyone. The format was developed by a Canadian company called IMAX corporation, and hence the name. Today, it is estimated that IMAX is available in about 528 theaters in 46 countries. IMAX provides a better resolution and picture stabilization. IMAX Corporation has developed various projectors and standards for delivering a better viewing experience. IMAX has been used since 2002 in various theaters across the world. IMAX 3D is also gaining much popularity recently. Let us now take a look of the various technical aspects of IMAX. 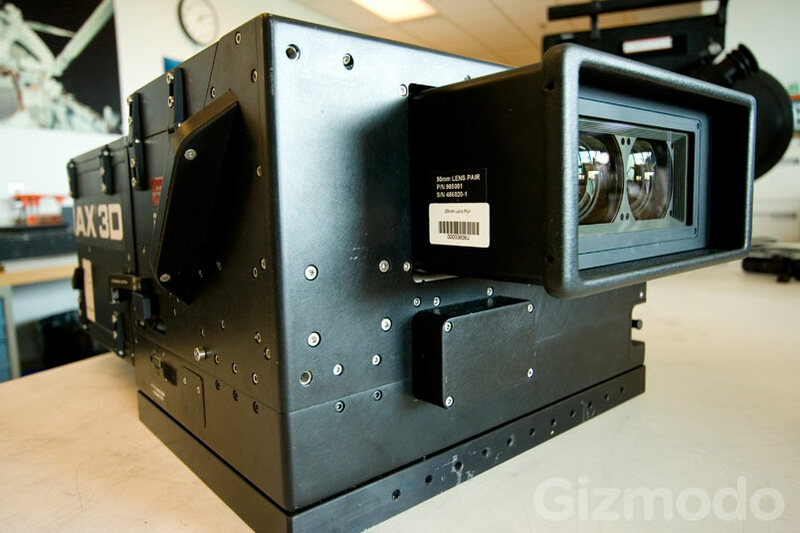 The camera used in IMAX has a much larger frame and hence increases the resolution. IMAX aims at more precision than strength so it uses â€œESTARâ€ base. 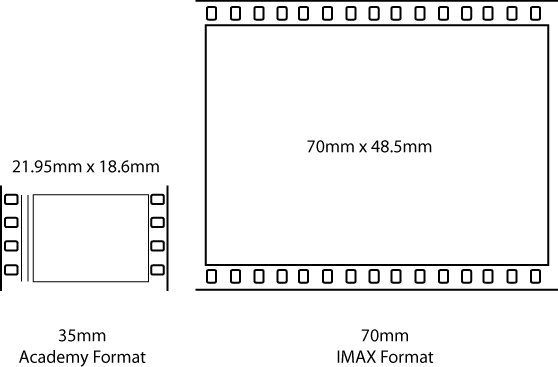 IMAX format is generally called â€œ15/70â€ film because of the 15 sprocket â€“ hole or film thickness.Â For increasing the image area the sound track of the IMAX is recorded separately in another film and is synchronized with the main film.Â A separate 6 channel 35mm magnetic film which converts directly to analog is used for this purpose.Â For producing high quality 3D effects, the speakers in IMAX theaters are placed directly behind the screen and around the theater. Conventional 70mm projectors are not able to produce 586 x magnification. IMAX projectors are pin stabilized which makes the film stable and ensures perfect alignment. Â The shutter speed of the projector is 20 times faster than the conventional projector and produces a brighter source of light. The light is produced from xenon short arc lamps made of fused quartz and xenon gas at a pressure of 25 atmospheres. The personals operating this projector should be skilled and must wear thick body armor while handling it. The quartz crystals and the xenon gas that produces the light could break easily and hurt the operator. There are four types of projectors used in IMAX, namely GT (Grant theater), GT 3D (duel rotor), SR (small rotor) and MPX . All these projectors use the 70mm format. Theater construction for IMAX differs with respect to others. The audiences are allowed to site near the screen because of the higher resolution. The size of a standard IMAX screen is 22 x 16.1m. Â Â Â Â IMAX 3D is a popular method for 3D vision in theaters . In IMAX 3D two separate cameras are used to generate the effect of 3D. The two cameras represent the right and left eyes. Separate film rolls should be there for each lens. When these two films are projected simultaneously the viewer will get an illusion of reality or a 3D image. The two lenses should be separated by a distance of 64 mm, which is the average distance between the human eyes. For creating 3D illusion the light from the two images are polarized. Eye glasses with left and right lens are polarized to match the projection. These glasses cancel the polarization and thus produce an illusion of 3D. The two projectors alternately display the film at a rate of 48 frames per second.Â LCD shutter glasses, which contain LCD panels, are used for this purpose and the eye sees only that image it intend to see. Spherical lenses also known as singlets which has the shape of the surface of sphere are employed in IMAX. The IMAX is used in various other purposes like Digital media remastering. 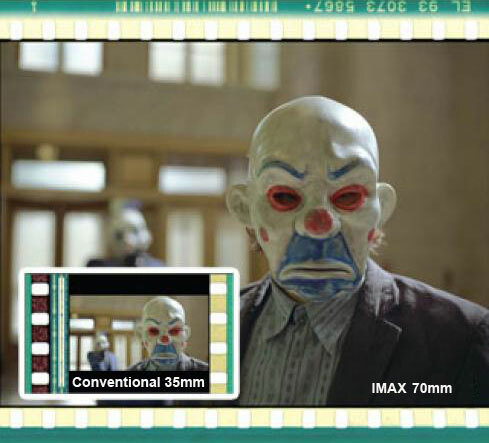 The conventional films can be converted into IMAX format. The 1995 film Apollo 13 was the first to be converted into IMAX and it was released in 2002. The digital intermediate technology enabled the films shot in 35mm to be shown in IMAX venues. IMAX can undoubtedly be called as the film viewing technology of the future.